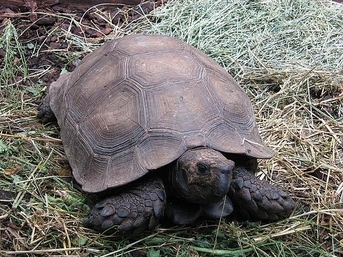 FreshMarine.com - Burmese Brown Mountain Tortoise - Manouria emys emys - Buy Six Legged Tortoise Now and Save! Sometimes called the�six legged tortoise�because of the long scales on the thighs of adults that resemble feet, Burmese Mountain Tortoises are very fascinating and personable. They are considered the most ancient genotype of tortoise still living, so in this species, you really do have a prehistoric animal.